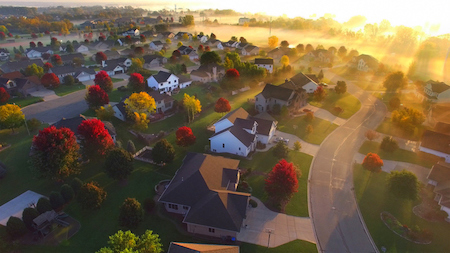 Is Nextdoor the New Way to Farm Neighborhoods? Most apps try to cast a wide net in order to capture the largest audience possible. While this is useful in building referral networks within the industry, real estate agents most benefit from targeted marketing on a local level, rather than nationwide. They can more easily accomplish this with the help of a neighborhood-based application: Nextdoor. The app allows neighbors to connect with each other, introducing a social media platform that caters to a smaller group in which services, marketplace transactions and overall interactions are more intimate and foster community engagement. Everything from lost neighborhood pets to tag sale items and neighborhood events can be shared within this platform. While homeowners have used this as an opportunity to promote their own rental or for sale listings, real estate agents have not yet laid claim to this digital alternative to traditional neighborhood farming. Here's how it works. Once registered, users can private message one another, set up an urgent alert to all neighborhood members, post an event to their own neighborhood or all surrounding ones, create a poll, and post a message within one of the five pre-set categories: For Sale & Free; General; Crime & Safety; Lost & Found; and Recommendations. Users can also search through others' recommendations via categories such as Restaurants, Hair Salons, Plumbers and more. Users cannot join a neighborhood without first verifying their first and last name, as well as their home address. The company must confirm that the user resides within a specific neighborhood before allowing access. Unlike Facebook, users do not have to worry about this information being sold to advertisers—it is only used for verification purposes. To that end, agents can rest easy knowing they are reaching out to vetted, community members, and can therefore cater their posts to specific neighborhoods without worrying about content being watered down with a more widespread audience. While not business-heavy, users do offer their services within the app. These include anything from babysitting to landscaping. If agents have listings in their neighborhood or surrounding ones, they can share the information with the community without having to rely on mailers, which are typically thrown away before being read. Similar to Facebook and Instagram, agents can use this platform to entice their community members with professional listing photos and virtual tours. Additionally, sharing market data may be more successful here than in other platforms, in which not all users are actively looking for localized information. The app is still low-key, and most agents have not yet jumped on the bandwagon; however, Keller Williams recently partnered with the app to display its listings within the platform. Other early entrants will find they can create a level of exclusivity for themselves within their neighborhood's community, creating a competitive advantage over other agents. Of course, the more agents join, the more saturated these neighborhoods will become. So, establishing a strong presence and referral network within the neighborhood—and soon—is essential to successfully navigating this platform. With the recommendation option, it's easier than ever for real estate agents to set themselves up as a resource with connections to a multitude of local vendors: electricians, plumbers, roofers, etc. The cons? Right now, all posts are featured; however, as the app grows, users may see a change in how the technology prioritizes posts. This could introduce similar challenges to those currently occurring at Facebook. It is too early to tell if this platform will catch on as Facebook and other large social apps have; right now, neighborhoods do not yet encompass anywhere near all homeowners in the area. Agents do have an opportunity, however, to share this app with their clients to increase the platform's popularity and their own visibility. It can also be used as a resource for getting to know new neighbors after a home purchase.